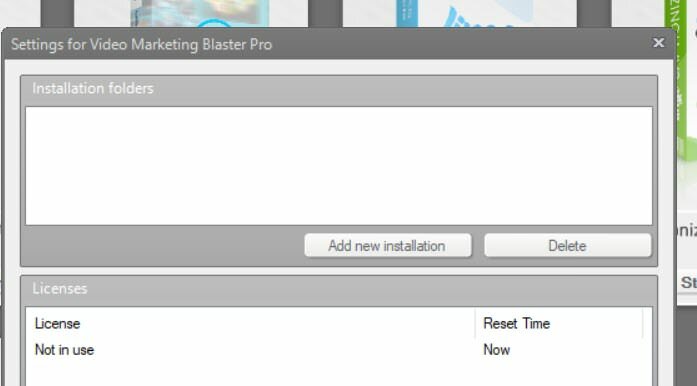 Each of your blaster suite program has its own installation folder which contains its own software and its own data. The BlasterSuite Manager is basically a control centre for these collection of software. If you want to backup your data, you need to go the data folder of each blaster suite software that you have, and copy it to another location such as google drive, external harddisk or another partition in your harddisk. 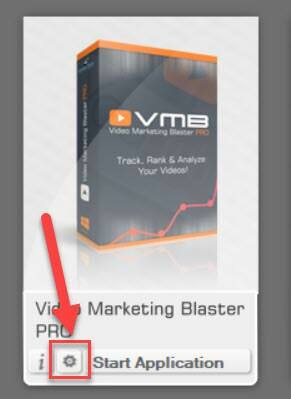 Step 3 - Click on the gear icon beside “Start Application” in Blaster Suite Manager . 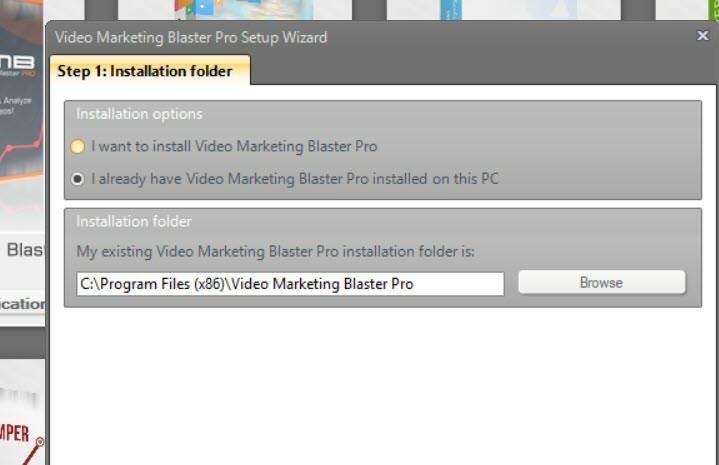 and then re-install the software .by clicking on "Add new installation"..
Click on " I already have Video Marketing Blaster Pro installed on this PC - "done"
Once the process is complete, you will be able to see the screen below. Click "OK"
Can i run multiple instances of Blaster suite products in 2 or more PCs ?